Several years ago, I had what I would call an "awakening." Feeling that I'd given too little time to God over the course of my life, too little time to prayer, too much time to trivialities, I experienced a different reaction than I'd had to such thoughts in the past. Rather than my usual "woe is me, I've wasted too much time, I'll never 'make up for it..,'" I felt a gentle whisper of hope. If I could put it into a sentence, it was as if I sensed the words: "but you have right now." I have right now. Knowing this in a kind of "flash," I realized that I could not turn back the clock and re-live minutes of years ago, last week, or even yesterday morning. However, I had the moment of right then. I could pray at that very instant, and I did so. I could choose anew to live for Christ, in that moment, and I did so. I have forgotten to pray more often than I'd like to admit during the course of my life. Sometimes I find prayer a struggle. But in each moment, I am given a new opportunity. A fresh, shining, precious chance to at least speak to God when I think of Him. A moment in which I can connect with Him, offer a word of thanks or praise - a moment in which I can start anew. This gently re-edited post was originally published on June 21, 2012. 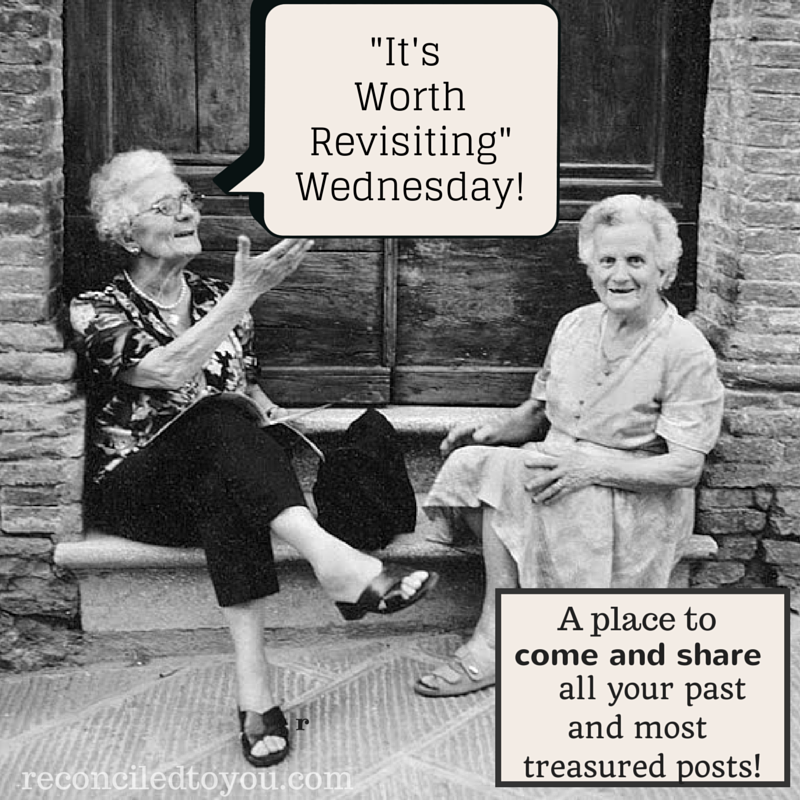 I share it here in order to link up with Reconciled To You and Theology Is A Verb, where a great group of Catholic bloggers re-post favorite articles on “It’s Worth Revisiting” Wednesdays. This is so close to my own heart. You express the Now so beautifully. And doesn't prayer have so many ways to unwind in our hours? 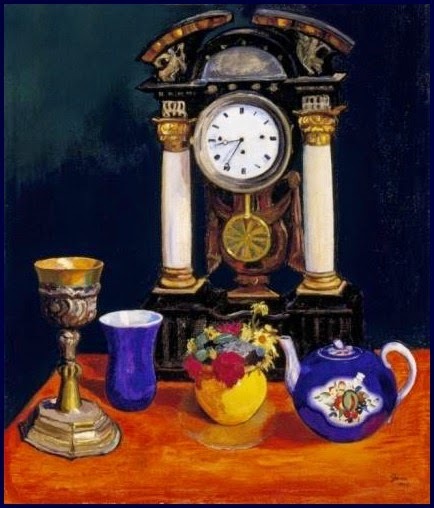 I pray when I smell the flowers, hug my child, serve food to the hungry around various tables, and greet the first light rising over the hills and through the plush of trees and read your enriching writing, look at the rich colors and compositions of the paintings! Thank you Nancy!!! Thank YOU. 'Through the plush of trees." Oooooh I love that. Rebecca, thanks so much for sharing this. God's timing is wonderful, isn't it? !